CRC officials trim construction plans | Audio and video stories from Southwest Washington. Responding to unease among Oregon lawmakers over the $10 billion* price tag of the Columbia River Crossing Light Rail project, planners have proposed spending an initial $2.45 billion to build a replacement bridge and light rail, and postpone other highway improvements until more funding is secured. The announcement came during a CRC staff report before an oversight committee of Oregon lawmakers late last week in Salem. 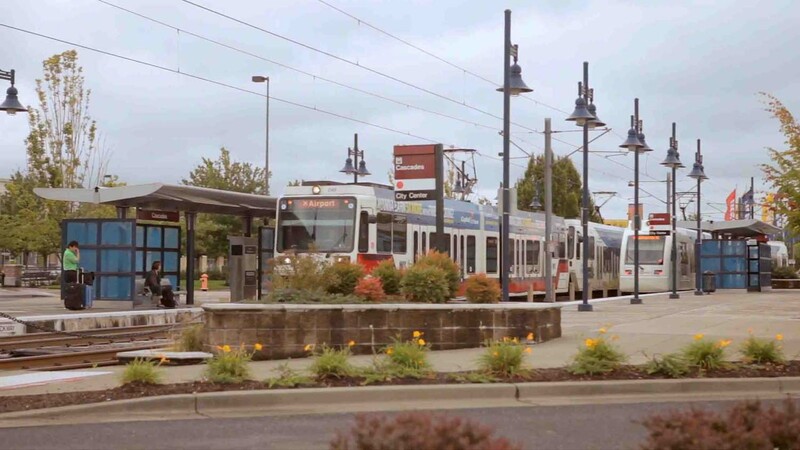 The entire project calls for construction of two replacement spans for the Interstate Bridge, extension of light rail from North Portland to Vancouver’s Clark College, and the reconstruction of six major interchanges within a five-mile impact area. CRC officials want to bring light rail into Vancouver. Planners still hope to pay for the full build project with $850 million in federal transit funds, $400 million in federal highway funds, $1.3 billion in toll revenues, and $450 million each from the states of Washington and Oregon. However, CRC staff said that Oregon Gov. John Kitzhaber asked them to identify ways to phase in construction and mitigate initial cost. The CRC staff presented the scaled back, first phase proposal, saying it would include only the bridge spans, light rail, and interchanges on Hayden Island in Portland and State Route 14 in Vancouver. Work on Portland’s Marine Drive – one of the most critical access points for freight traffic in the state – would have to wait, along with three other interchanges in Vancouver. The $2.45 billion scenario also assumes a more conservative $900 million to $1 billion in toll revenue and state contributions of only $300 million each. “The first alternative we are putting forward to you is the minimum option necessary for a viable function bridge on both sides of the river for freight and safety, and if no other money were to appear, you would have successfully developed a substantial benefit to the region and to the state,” said Patricia McCaig, Kitzhaber’s liaison to the CRC. The CRC presentation still left many unanswered questions regarding the project’s financing. Project director Nancy Boyd acknowledged a report from the Oregon Treasurer’s office last July that found CRC planners overestimated toll revenue by between $468 and $598 million due to outdated traffic projections. The report recommended the CRC pursue an additional $400 million federal TIFIA loan and enact $200 million in pre-completion tolling to make up the funding gap. Boyd said the Treasurer’s report validated the CRC’s overall forecasting methods, but urged more conservative revenue estimates. Deputy CRC Director Kris Strickler added that the project’s final cost is in the estimated range of $3.1 billion to $3.5 billion, representing a level of certainty of 60 to 90 percent that there won’t be cost overruns. He indicated the more conservative $3.1 billion figure will now be used to describe the project. To this, Oregon Rep. Katie Eyre Brewer, R-Hillsboro, asked if the new number was being used based on better knowledge or as a matter of convenience. Strickler said that with a project of this size, the level of risk fluctuates as certain elements are completed. CRC staff reported that authorities in the federal transit and highway administrations strongly support the project, but that federal dollars are contingent upon local funding being secured first. The $300 million from the states can either be spent on the bridge, highway interchanges, or both. “As a general rule, they want to see a local commitment that ensures you have a viable project before they commit their resources,” said Travis Bouwer, a federal advisor to the Oregon Department of Transportation. Oregon Department of Transportation Director Matt Garrett explained that Oregon legislators won’t have to come up with $450 million in cash, but only have to raise enough revenue to bond for the full amount. For example, an increase of 1.33 cents on the state gas tax would generate $35.4 million annually as debt service for a $450 million bond. Strickler played down the significance of the phase one reductions, saying the bridge has always been the starting point. Bridge construction will begin with pilings in the middle of the Columbia River and span out toward both shores. “If we had all of the money in a bank account today and were looking to build the project all in one piece, we would still end up starting with this phase of the project,” he said. Eyre Brewer asked again who would be liable in the case there were cost overruns but McCaig didn’t have an answer. “That’s an honest answer,” replied Eyre Brewer. Strickler then jumped in, saying it will be a matter of keeping an eye out for new sources of funding as the project rolls on. “New programs over the life of a project like this come available in the middle, towards the end, and you really want to make yourself nimble and dynamic so you can access those programs as they become available,” he said. 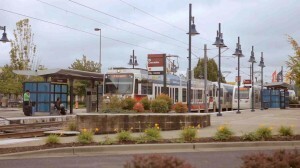 See our continuing coverage of the Columbia River Crossing Light Rail project. Do you have information to share on the CRC? To respond anonymously call 260-816-1426. To allow your comments to be used on COUV.COM call 260-816-1429.